This amazing fruit was first discovered by the native tribes hundreds of years ago. 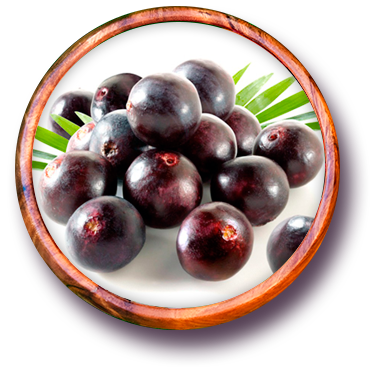 The natives soon realized its powerful characteristics and since then the Açaí berry has always been appreciated for its nutritional value and energetic power. Boosts energy, strengthens cardiovascular system, anti-aging (Anthocyanins & Antioxidants), helps weight loss, improves blood circulation by detoxification, aids in digestion, and helps build muscle. Native to the Amazon, the Guaraná berry played an important role for centuries to native Guarani Tribe and received the name for its eyeball-looking appearance. 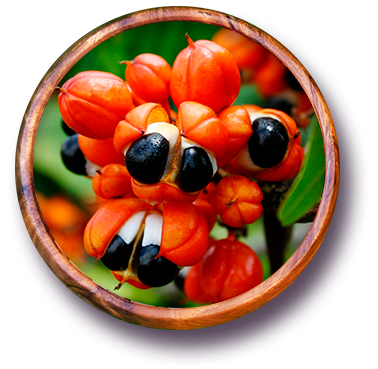 Due to its rich nutrients, Guaraná was widely used by the tribes, not just for food but also for medicinal purposes. Boosts stamina and increases physical endurance, increases metabolism, detoxifies the blood, reduces intestinal gas, obesity, dyspepsia, fatigue, arteriosclerosis, neuralgia, diarrhea, dysentery, provides migraine relief, rheumatism relief, and cellulite reduction. “Phytochemicals are potent antioxidant compounds found in plants that help to prevent and fight diseases. Improves cognitive function and enhances sports performance”.